Developers of technology that exploits sub 6GHz 5G New Radio now have access to a test reference platform that aids prototyping and time to market. 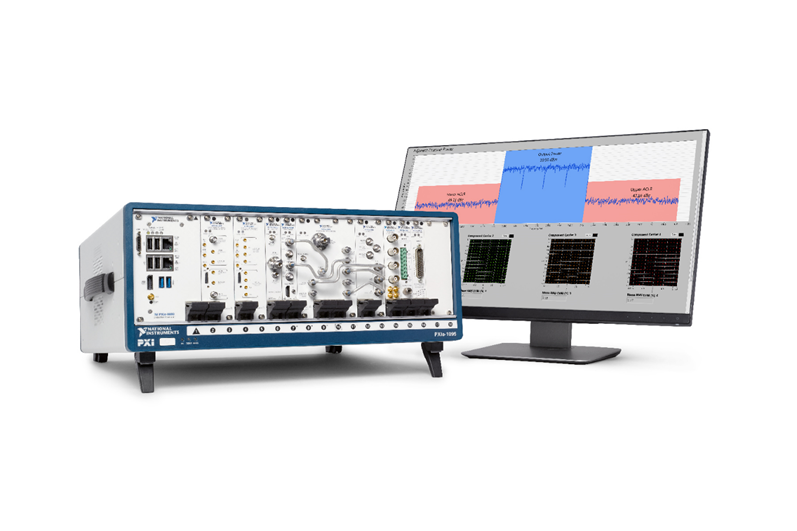 National Instruments (NI) has announced a sub-6 GHz 5G test reference platform compliant with the 3GPP Release 15 specification for 5G New Radio (NR). With commercial 5G NR deployments below 6 GHz on the horizon, engineers are actively developing sub-6 GHz 5G RF components and devices. The accelerated pace of 5G standardisation is driving intense pressure to bring products to market quickly. NI’s sub-6 GHz 5G NR reference solution is a cost-effective and high-performance option for test that helps engineers quickly characterize their designs and more easily transition from R&D to production test environments. The new reference test system from NI is well-suited for testing new wideband RFICs, especially those operating in the 3.3 – 4.2 GHz and 4.4 – 5.0 GHz bands. Engineers can test devices operating with 400 MHz of continuous signal bandwidth and beyond with the PXIe-5840 Vector Signal Transceiver (VST), which includes 1 GHz of instantaneous signal generation and analysis bandwidth up to 6 GHz. With the NI VST, the system delivers residual EVM performance better than 0.32 percent (-50 dB) for 100 MHz NR signals along with faster measurement speed. A critical component of this system is NI-RFmx NR measurement software, which has evolved in conjunction with the 3GPP specification. The latest version of NI-RFmx NR measurement software offers 5G NR waveforms and measurement capability compliant with the first official specification of 3GPP Release 15 for non-standalone NR, which empowers engineers to test both OFDMA and DFT-s-OFDM carrier aggregated waveforms with flexible subcarrier spacing from 15 kHz to 120 kHz.